Trailer added for live-action film “Kurosaki kun no Iinari ni Nante Naranai” starring Kento Nakajima, Nana Komatsu & Yudai Chiba. 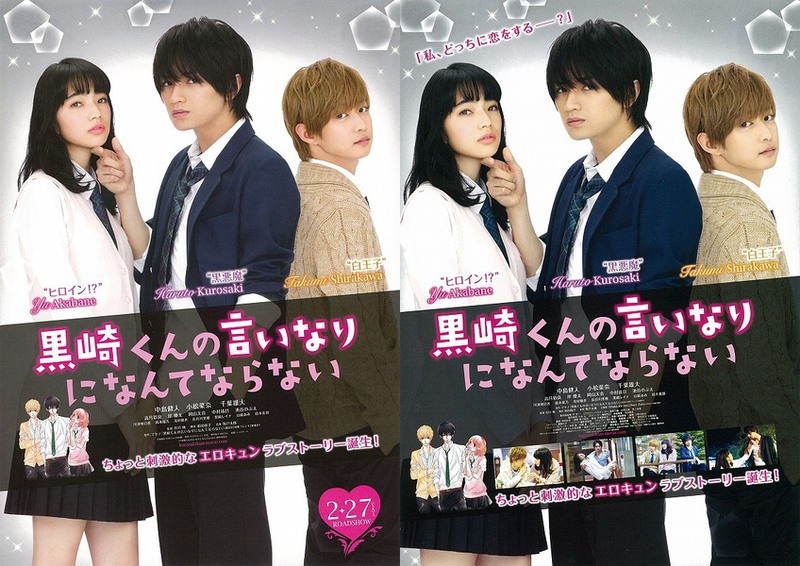 Movie is based on manga series”Kurosaki kun no Iinari ni Nante Naranai” by Makino and directed by Sho Tsukikawa. “Kurosaki kun no Iinari ni Nante Naranai” will be released February 27, 2016 in Japan. Here’s 4 teaser posters for upcoming tvN drama series “Signal.” The teaser posters feature a main cast teaser poster and three more featuring starring cast members Lee Je-Hoon, Kim Hye-Soo & Cho Jin-Woong. “Signal” first airs January 22, 2016 in South Korea. “Descendants of the Sun” first airs sometime this February in South Korea. 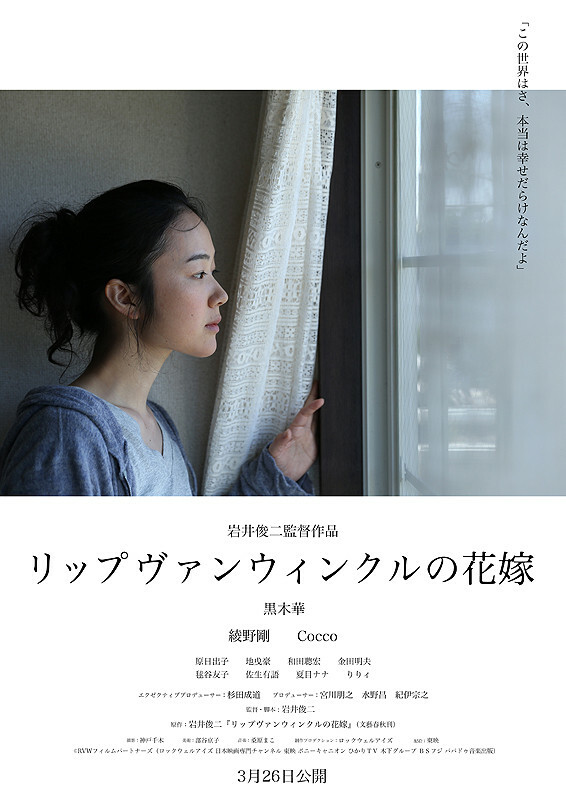 Hiroshi Abe, Kirin Kiki & Yoko Maki are all cast in movie “Umi Yorimo Mada Fukaku.” The movie is written and directed by Hirokazu Koreeda (“Like Father, Like Son”). Story for the film revolves around Ryota (played by Hiroshi Abe) and his family of ex-wife (Kyoko), mother (Kirin Kiki) and 11-year-old son (Taiyo Yoshizawa). They all gather at the apartment of Ryota’s mother when a typhoon passes and they all must spend the night there. “Umi Yorimo Mada Fukaku” will be released May 21, 2016 in Japan. Popular actress Park Shin-Hye has been offered the lead role in upcoming SBS drama series “Female Gangster Hye-Jung” (literal and working title). The drama series will be scripted by Ha Myung-Hee (“High Society“). If Park Shin-Hye accepts the role she will play title character Hye-Jung. The character of Hye-Jung grew up in a difficult background. She fought all the time and was very good at fighting, but she also did well with her studies. Even though she grew up like a thug, Hye-Jung has now become a doctor. “Female Gangster Hye-Jung” is tentatively scheduled to air sometime during summer, 2016 in South Korea. Main trailer for Shunji Iwai‘s “The Bride of Rip Van Winkle” starring Haru Kuroki, Gou Ayano & Cocco. “The Bride of Rip Van Winkle” is currently scheduled to be released in South Korea (tentatively mid-March, 2016), Hong Kong and Taiwan before its premiere in Japan on March 26, 2016. Kaho Mizutani is cast in horror film “Valentine Nightmare.” The movie is based on a horror game developed by Ivory Dice and directed by Yasumasa Konno. Premise for the film has high school students on a graduation trip. They become haunted by the spirit of a classmate who committed suicide on Valentine’s Day, one year ago. The students must overcome their fears and find out the truth about what happened one year ago. “Valentine Nightmare” will be released sometime January, 2016 in Japan. Here’s two main posters for upcoming OCN drama series “Neighborhood’s Hero” (literal title). 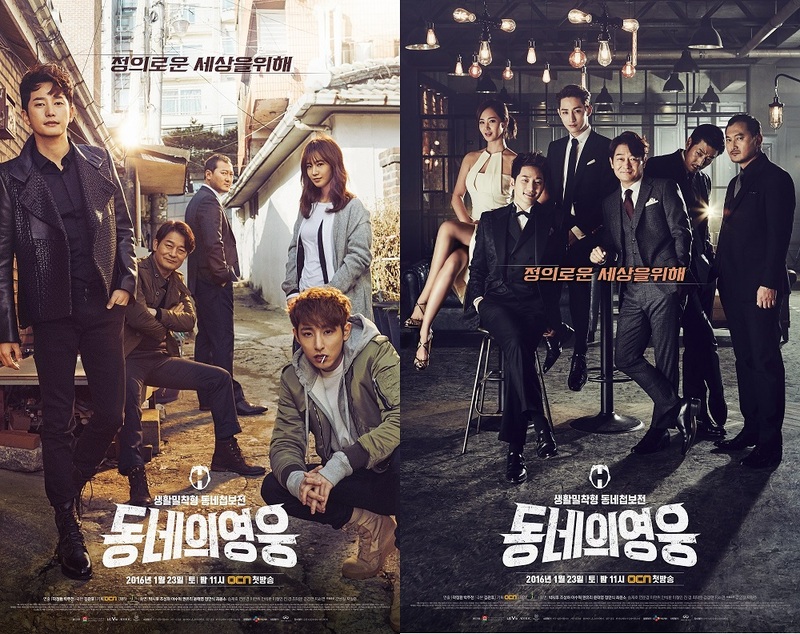 The poster on the left features the five main performers who are Park Si-Hoo, Cho Seong-Ha, Lee Soo-Hyuk, Kwon Yu-Ri (Girls’ Generation) and Jeong Man-Sik. The second poster on the right features the five main performers and actor Yoon Tae-Young. Ep.1 of “Neighborhood’s Hero” airs January 23, 2016 in South Korea. Here’s the first still images from upcoming film “Pure Love” (literal title) starring Do Kyung-Soo (idol group ‘EXO-K’), Kim So-Hyun, David Lee, Joo Da-Young and Yeon Jun-Suk. Story for the film involves a radio station that reads a letter from 23 years in the past. The letter involves the romance and friendship of 5 young friends. Movie “Pure Love” is now targeted for release sometime in February, 2016 in South Korea. Trailer added for upcoming live-action horror film “Chimamire Sukeban Chainsaw” starring Rio Uchida & Mari Yamachi. Movie is based on manga series”Chimamire Sukeban Chainsaw” by Rei Mikamoto. The main character has a chainsaw and there’s zombies in the film. “Chimamire Sukeban Chainsaw” will be released February 20, 2016.